The way R&D groups adapt after mergers or acquisitions is critical to how quickly they get back to full speed in NPD development and refuel the new company’s pipeline. Therefore, efforts that accelerate acceptance and adoption of change in R&D culture and processes will have positive effects on R&D productivity. Recap …Two earlier posts [1, 2] presented a case study of a major pharmaceutical company trying to address R&D productivity issues after an acquisition. One of the major learnings was the “need for speed” in returning R&D to full productivity after a merger or acquisition ….otherwise this can take several years. As a consequence, R&D integration efforts must be addressed quickly. The company’s NPD process mapping initiatives had the unexpected positive benefit of also improving R&D morale and productivity. Now we will discuss additional learnings that we identified from the case study which also had positive effects on R&D productivity after a merger or acquisition. 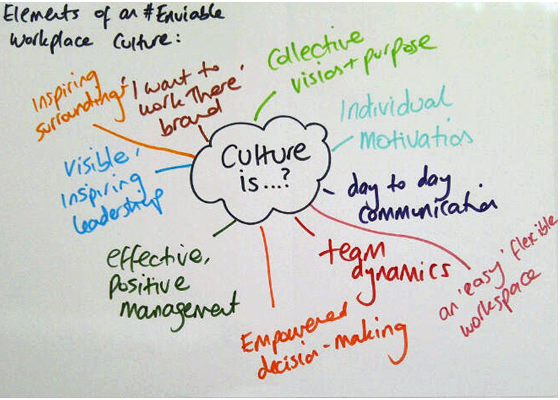 Effect on Innovation Culture … In a well-managed company with long term growth goals, various parts of the NPD process and innovation culture are monitored and optimized continuously to improve productivity as part of continuous improvement initiatives. After a merger or acquisition this becomes an imperative. The newly formed organization is often “shell-shocked” and while the “Big Fish” eventually consumes the “Little Fish” this can take years with many casualties along the way….both in terms of a brain drain and loss of productivity. Following an M&A it is a good idea to take the opportunity to incorporate “best practices” from both legacy groups, shake-up the innovation culture and incorporate entirely new improvements to supporting systems. Psychologically, workers in the innovation and R&D groups of the legacy companies are expecting change. If R&D integration is not addressed quickly after day 1 and the two R&D groups are left to operate in isolation independent of each other for too long, this can have a corrosive effect on morale. It can be far worse than addressing organizational restructuring too quickly. Headhunters will call, resumes will be updated and good talent that you want to keep will leave. As we discussed in the previous two posts, company-wide activities which center on building consensus and improving the NPD process and/or NPD governance will have a positive effect on innovation culture. In fact, any efforts that reduce confusion in the new NPD process or efforts to improve innovation culture will improve R&D morale because these efforts will be seen as an investment in R&D and an affirmation of the importance of R&D in the long term growth of the new company. Examples of Beneficial Post-Merger Activities …These activities all help reduce confusion, add clarity of purpose, and improve innovation culture with a net result that R&D moral and productivity will improve. Document management systems and other supporting systems, which also play a large role in the NPD process, have to be integrated into the new NPD process and must align R&D with Manufacturing, Marketing and Regulatory groups by helping the quick and seamless transfer of information from R&D to Manufacturing, Marketing and Regulatory groups in the correct format. After a merger or acquisition, document management systems from the legacy companies are often incompatible and possibly outdated. Decisions have to be made about what systems will be used going forward and also how and when information is going to be transferred from system to system. If this is not addressed quickly the new NPD process will fall apart. Training on the new NPD process and systems is crucial to the on-boarding of colleagues into the new R&D organization or for those who have transferred to new functional groups within the R&D group. The R&D portfolio after a merger or acquisition contains new projects in areas that one legacy company may not have experience in. Therefore a quick review of the new portfolio is very important to identify people with special knowledge or skills that have to be kept. Also the merged portfolio probably needs some trimming……some projects may be now too small or off-strategy for the new company. There is probably a tendency to focus on executional parts of the new NPD process, but don’t forget about the fuzzy front end of the NPD process. 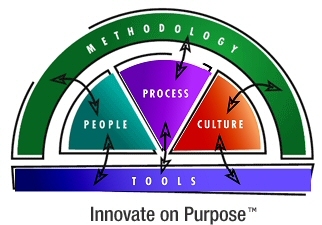 Revamping ideation processes and consumer/customer insights processes may have a significant positive effect on innovation culture and result in a host of new ideas being input into the NPD funnel…..again this will be seen as a positive sign by R&D and innovation workers. The cumulative effect of all of these “tweaks” will be a significant improvement in innovation culture in the new company with a resurgence of R&D productivity hopefully in a synergistic way. Although R&D productivity will fall after a merger or acquisition, with good management R&D productivity can bounce back quickly and to higher levels than before. Everyone must understand and be supportive of the new NPD process. R&D culture change, NPD pprocess mapping and system integration need the sponsorship of upper management and other functional groups such as Marketing and Manufacturing. Initiate an NPD process mapping initiative quickly after the new R&D organization has been announced. The quicker a new NPD process has been developed and “owned” by all of the colleagues, the quicker the new R&D group will reach full productivity. Conduct frequent and transparent portfolio reviews. A well managed, well understood, transparent and disciplined governance process is necessary to quickly kill “dog” projects in the new organization and provide sufficient resources for “star” projects to ensure the productivity of R&D by having the correct prioritization. Cohesive project teams with strong project management support are necessary to make sure the NPD process is followed and that accurate milestone dates are agreed to and communicated to upper management. Project teams will need to be re-staffed in the light of reorganizational changes, maybe even re-initiated with a new kick-off meeting. Recalibration of the capacity of R&D functional groups needs to occur after the NPD process has been validated in order to “fine tune” the size of the functional groups to the capacity needed. It is important that functional groups all have a similar capacity to do the predicted number of projects that will flow through each group during the NPD process thus avoiding “bottlenecks” in any one part of the NPD process. Portfolio management is also important so that an accurate estimate of the progress of each project is obtained but also so that a look of the whole status of the NPD portfolio is available for review to ensure it is progressing on schedule. Thus it is important to identify “bottlenecks” and then make adjustments to priorities, to make sure the portfolio is balanced and to make sure the optimal number of projects are being executed. Summary … What is more important for restoring R&D productivity: Innovation culture or NPD process? The answer is ……both are equally important. A great innovation culture without process will generate many good new ideas but will be unable to execute them effectively. A company with a good NPD process but indifferent innovation culture will execute well but their products may be uninteresting, “me-too,” line extension products which fail to gain significant market share. Efforts to address improvements in both innovation culture and NPD process, during the lag time after a merger or acquisition will ultimately reap benefits even if it may take a lot of effort to get there. There is no doubt that M&As negatively affect R&D performance [3,4] and that loss of knowledge, loss of motivation, lack of decision making, lack of defined processes and reorganizational chaos all contribute to the pipeline being frozen (or moving in slow motion) for a period of time, but efforts to improve both the innovation culture and NPD process will result in a solid rebound of R&D productivity.